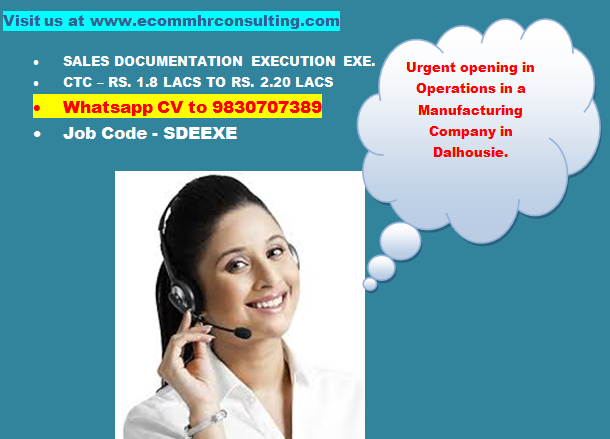 Most Urgent: Maximum notice period one week. INDUSTRY : Resumes of Applicants from Manufacturing, Engineering and Constructions companies is solicited. Handle Sale File including Register. Updating FILES in all respect. Handling Material & Document dispatch formalities. Candidate should be fluent in English and Hindi. Age in between 30 years to 40 years. Should be skilled in MS WORD, EXCEL [Commonly Used Functions. Must be Good in English Correspondences. 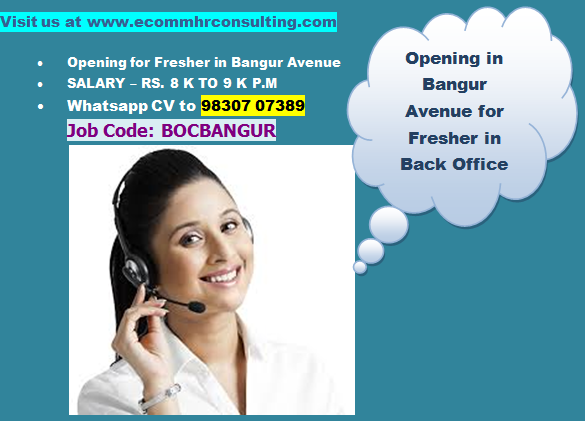 To apply email Whatsapp your CV in MS Word Format or PDF FORMAT AT 98307 07389.